The Claremont Inn in Stratton, Colorado is truly a unique bed-and-breakfast that specializes in romantic escapes. Whether you're looking for Colorado honeymoon hotels or just a quiet resort for two - The Claremont Inn is the place for romance. Our one and two night romantic getaway packages are the perfect way for you and your partner relax, refresh and enjoy the romance. Romance packages are fully inclusive and includes your choice of guest room, delicious dinner for two and country inn breakfast for two. Roll the Dice Game of Romance! You may add a romance package to any night stay. The package includes a bottle of Claremont Wine, chocolate dipped strawberries or hand-dipped chocolate truffles and spa pampering kit. Our honeymoon special includes a one night stay with bed and breakfast in the guest room of your choice. Upon arrival, you will find a bottle of Claremont Wine, chocolate dipped strawberries or hand-dipped chocolate truffles and a spa pampering kit. Enjoy true Colorado hospitality. 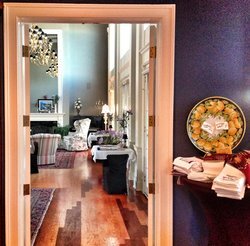 Each of the 10 guestrooms at the Claremont Inn has a totally unique decor and special amenities. Couples and honeymooners enjoying their lodging say selecting the room of their choice was the hardest part. Whatever type of special event you are planning, the Claremont Inn & Winery offers the ideal Colorado Bed and Breakfast Wedding Package to ensure a memorable experience. 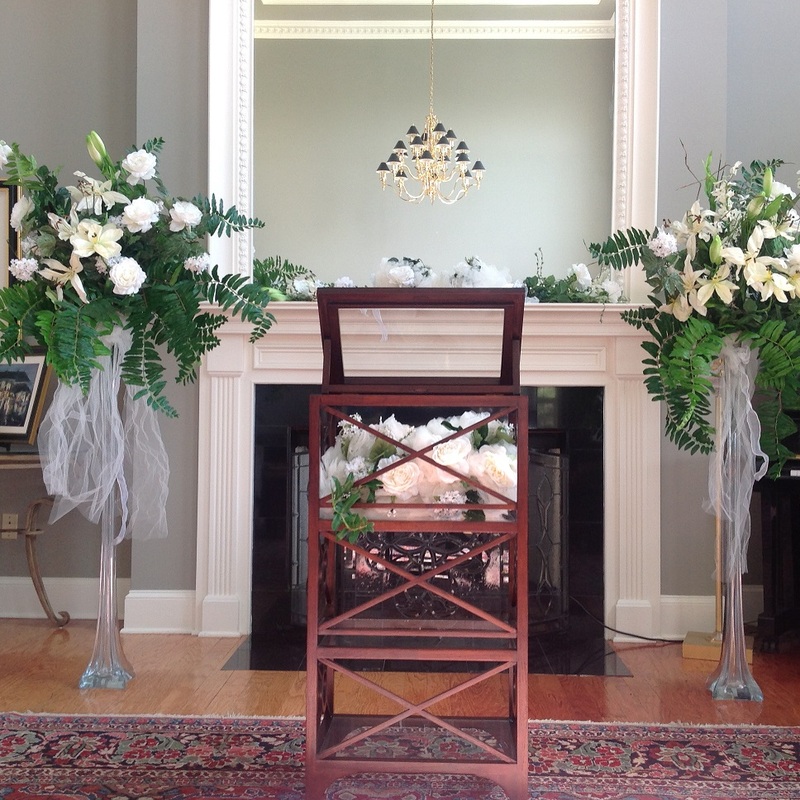 We specialize in small intimate weddings from two to 48. With 3 complete wedding packages to choose from, a Claremont Inn & Winery wedding is sure to be the perfect venue for your special occasion. The lushly landscaped grounds and beautifully decorated common areas of the Inn provide and elegant setting, privacy and memories for a lifetime. Our lawns, terraces and stylish public rooms provide a variety of locations for your perfect wedding in Colorado. The Claremont Inn & Winery Weekend Wedding Gala Package delivers the ultimate in wedding celebration experience. Imagine hosting 20 of your closest friends and family to a beautiful mansion style weekend wedding party! These weddings are hard to top and will be talked about for years. Our Country Inn Wedding Package is the smart choice for the couple seeking a complete wedding experience. This package features luxurious accommodations to use before, during and after wedding, exquisitely decorated common areas for the ceremony and reception for up to 48 guests. The Claremont Inn & Winery Elope! Wedding Package is perfect for spontaneous couples seeking a romantic, luxurious, memorable wedding experience. 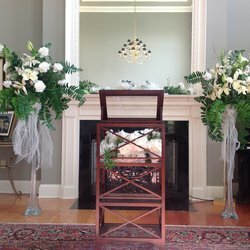 Photographer and Officiant are not provided by the Claremont Inn & Winery in any of these Packages. 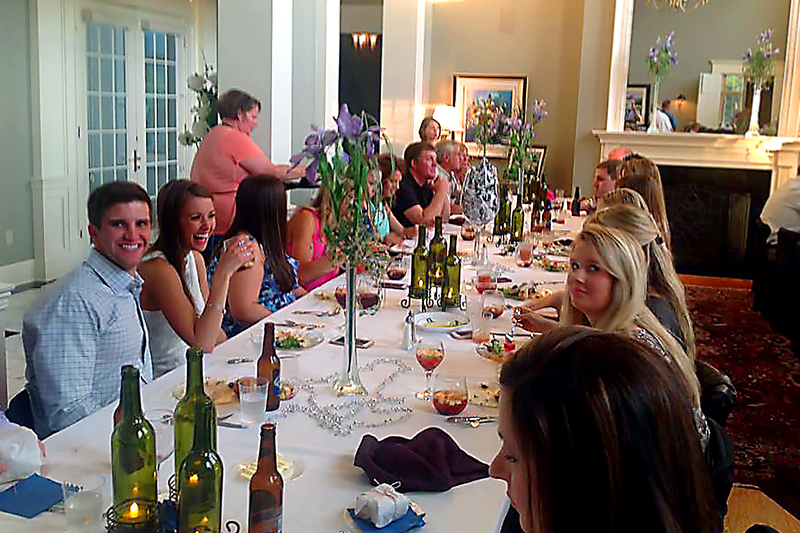 In addition to the different wedding packages we offer Bridal Showers, Bachelorette Parties, Rehearsal Dinners, Wedding Day Bridal Brunches, Custom Labeled Wedding Wine and Specialty Gifts. Our Bride's Preview Package is a great way for couples to see the Claremont Inn & Winery and get a consultation on planning a wedding at the Inn. Our Philosophy is simple, we want the Bride and Groom to enjoy their day, we take care of everything else. From our decor, to cuisine, you will be surprised and delighted by every phase of the day. Our Bride's Review Package, gets you an appointment with one the Claremont Inn's wedding planners to go over how the Inn delivers the various wedding packages, what to expect, a tour of the Inn and our famous taste dine and stay overnight package. - Save the best for last, make us your last venue to look at! Get all the details by clicking the Congratulations link below. 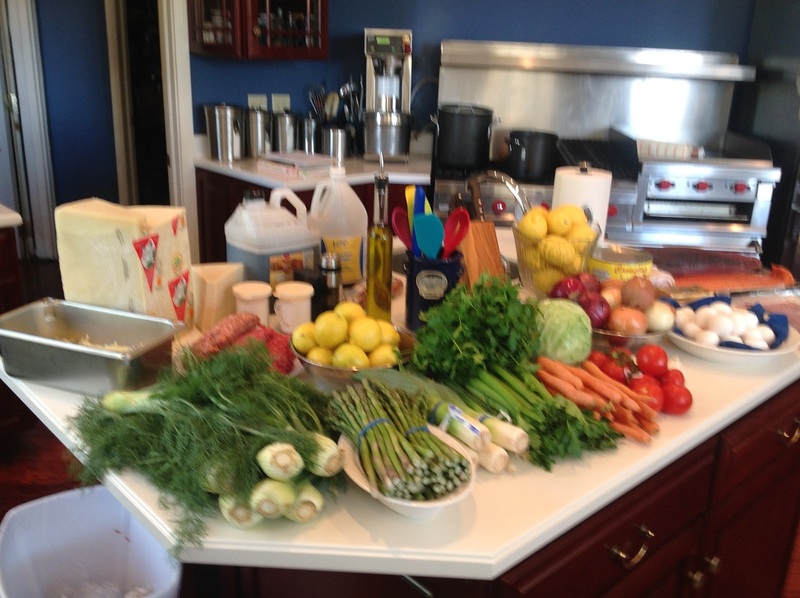 The Claremont Inn is proud to offer cooking classes in the Claremont Inn kitchen. These are hands-on participation classes where everyone gets into the act. We start off with a discussion of the techniques and ingredients we will be using for the day. Next, we review the recipes for each dish. And then the fun begins as everyone puts on an apron and goes to work preparing a wonderful dinner. Each class will prepare a full menu: appetizers, salad, entree, dessert and a bread. Plus, we will taste some wines paired to match our food selections. We present these classes in the Spring and Fall for the public. Custom classes are offered anytime. Call 888-291-8910 and schedule your small group for some cooking fun. We have 3 cooking class packages available. Coming Soon - Golf Packages! Taste, Dine & Golf - What could be better! Claremont Inn gift certificates are the perfect gift for any occasion: weddings, anniversaries, birthdays, Mother's and Father's Days, Valentine's Day, Christmas or holiday, friendship, wellness, bridal shower, engagement gift, or a spontaneous romantic getaway. 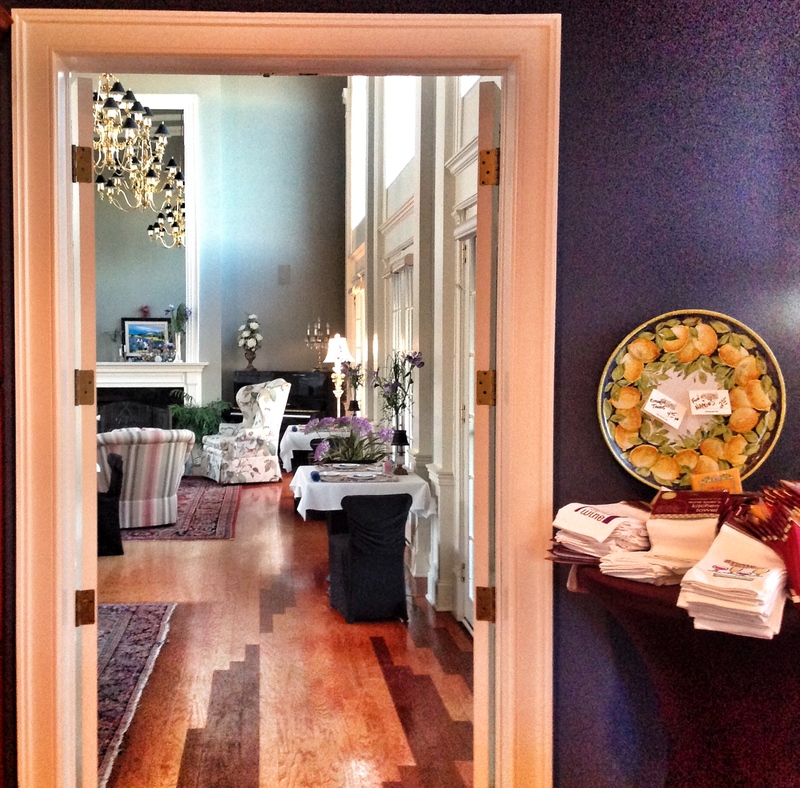 Buying a Claremont Inn gift certificate is easy! Taste, Dine & Stay Gift Certificate - Our most popular! Happy Hour Wine Tasting both days! You will never have so much fun as you will with this entertaining event. Claremont Inn's Murder Mystery Dinner Party you'll get to dress up, act up, and get away with murder! See if you can guess..."who dunnit?" Everyone gets into the act in these fun filled evenings. 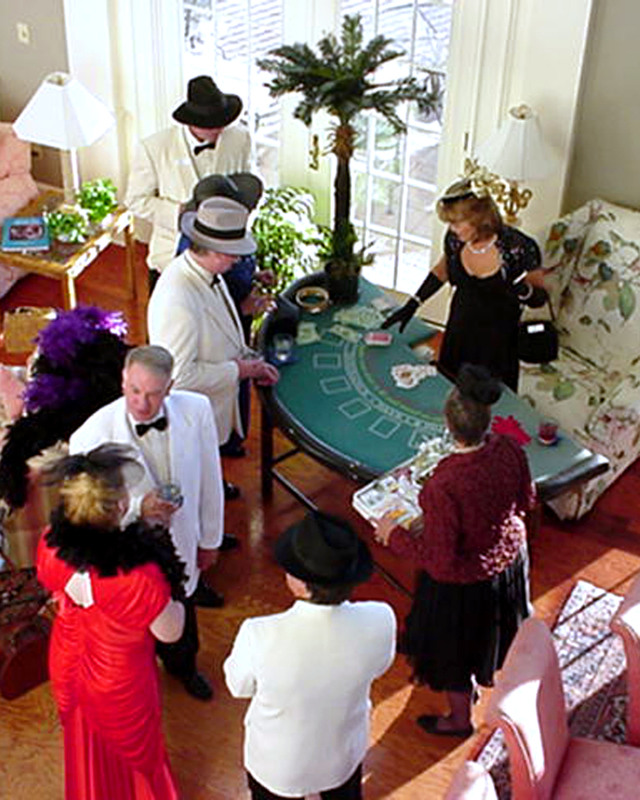 Each guest is a character in the evenings drama and a good time is sure to be had by all. We take care of everything, you only need to review your dossier and create your character. Approximately 1 week prior to your vacation, the Claremont Inn hotel will mail each 'actor' their own personal dossier which provides background information on all the players, your own secrets, and costume suggestions for your character. On these single night events, guests arrive by 4PM to the hotel with plenty of time to get into costume for the opening act cocktail party. A wonderful dinner and dessert is seamlessly woven into the game. We can't have a murder on an empty stomach now can we? We host these events periodically throughout the year. Have a group of 5 couples or more and want to plan your own murder mystery party? Give us a call and we can schedule your event. Create a Unique and Memorable Night! 1940's Casablanca - "A Murder in Morocco"
Enjoy an enchanted 40's evening at Mick's Hot Cabana Club in Exotic Casablanca. Designed with the same atmosphere and setting as the classic film with Humphrey Bogart, this scenario conjures up a mix of paddle fans, warm nights, Moroccan moonlight, gambling, white tuxes, elegant evening gowns, and red fezzes. Luscious Loretta and Lucky Lorraine, the entertainment hostesses, dance for dollars with handsome men. Be careful! There's an international crowd of spies and counterspies. A secret formula is on the loose, and exit visas are for sale on the black market to the highest bidders. The shadows are always crowded in Casablanca! You will soon forget you are at a Colorado bed and breakfast murder mystery dinner as you are transported back in time to Mick's Hot Cabana Club. This is the most popular mystery dinner parties that we have hosted at the Claremont Inn. Country & Western - "The Rocking Rodeo Mystery"
Your invitation to this year's Country Music Awards awaits you. Come on down to Connie Clayton's Rocking Rodeo Nightclub where Dixie Crystals, Roy Rhinestone, and B.J. Barnes are among the nominees. Tex Tunes is our down home host and he'll be introducing a cavalcade of country entertainers including the Lassoing Ladies, Slim and Sleepy Spurs, The Fudds, and of course the Country award winners. Lots of autograph hounds, photographers, cowboys hats, glitter, and Yee Haw's here. But watch out! There's jealousy, double dealing, and big money at stake. And if someone were to get in the way.... well, who can tell what will happen! While the Claremont Inn is located in the country it really does not have too much of the country feel to it on a regular day - it certainly glitters everything country once filled with Country Music Super Stars for an awards Gala. This Colorado Inn rises to the occasion lariats and all. 1930's Gangster - "The Velvet Room Mystery"
You may be attending the opening night celebration of the Velvet Room speakeasy. Owned by Dom Marconi, this swank joint is frequented by gangsters in striped suits and gun molls in boas. Remember to leave your weapons outside. Bugsy, the Dom's bodyguard, will be frisking you's hoods. And don't forget the secret 'passwoid' to admit you into the back room gaming tables for high stakes. Silkie Smoke as usual will be singing at the piano bar. Her tunes appreciated by local notables, crooked politician, and arch mob rivals alike. Oh, Oh, a dangerous brew sure to cook up some intrigue! A Colorado bed and breakfast is hardly where you would expect to find this unsavory group of gangsters and broads - but at the Claremont Inn in Stratton Colorado it has happened. English Victorian - "Murder at Mulberry Manor"
Take a right at the Moors on a foggy night, and you'll find yourself at Mulberry Manor house for the reading of the Duke's will in this classic English Victorian set in the late 1800's. Lord and Lady Mulberry are your hosts. Denton and Millicent, the very proper snobby butler and maid, greet you at the creaking door. Constable Cribbs, Vicar Wrightly, Sikh Sadji Wadji, Dame Winifred Crump, Colonel Frithingham, Penelope Plumpudding, Bartlett Von Bon Bon, Captain Rumprear, Sir Walter Winston, and an assortment of Lords and Ladies are the invited guests. Some are welcome. Some not. The Dowager Duchess is planning a seance and Countess Valenska is on hand to summon the spirit world. Will the dear departed Duke spill secrets from beyond? Gypsy Germaine is busily working the room: selling potions and telling fortunes... Maybe you don't want to know yours! The Claremont Inn is the perfect location - our Colorado country mansion feeling will quickly transform you to Mulberry Manor. Experience at all sorts of past mysteries, legends, ghost stories, and of course, a marvelous mystery to solve! Disco Fever - "Done In At The Disco"
You'll quickly forget that your in the Colorado countyside as you dust off that white polyester suit, polish up those platforms and get ready to get down. It's 1978: The height of the Disco Inferno dancing frenzy. Where every night is Saturday Nightand the fever is burning with disco dudes and divas. Boogie with Bianca Jagged, Truman Capootie, LiZa Spindelli, Calvin Klothesline, and the rest of the "in" people as Steve Rubble, the owner of Studio 54.5, is planning a special birthday bash for a big celebrity. We can't tell you who, but we can tell you if you miss this, you'll want to kill yourself in the morning. Dig out those disco duds, get in line, and hope you're hip enough to get past "Big George." And remember: Staying Alive is a song someone won't be singing when they're Done In At The Disco. "We like the Night Life, We want to Boogie"
Whenever we have held this event be it a Colorado bed and breakfast like the Claremont in Stratton, it really didn't matter because the polyester and hair dominated the show. This is the perfect murder mystery dinner party to let loose and shake your booty. Want to Have a Special Theme of Your Own? 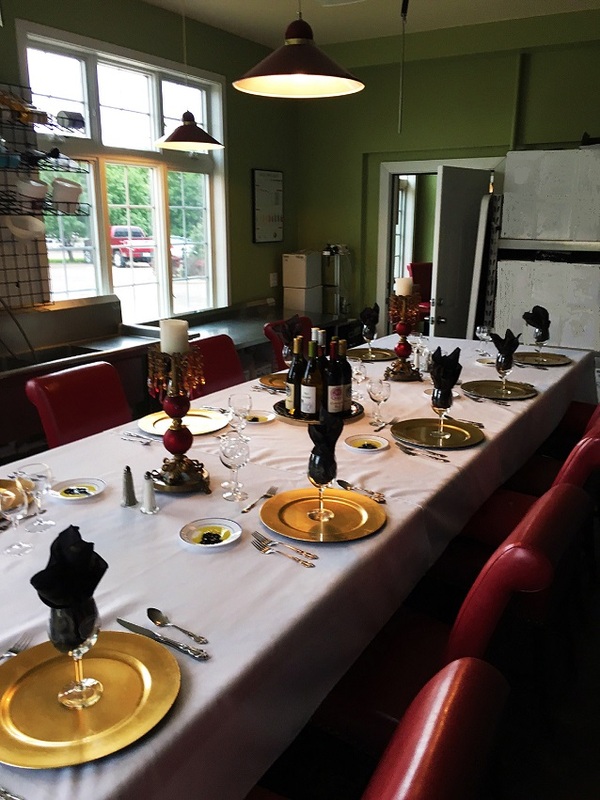 Give us a call today, we can create a Colorado Murder Mystery Dinner Party just for you - let the Claremont Inn be your choice for a Colorado Murder Mystery Hotel! 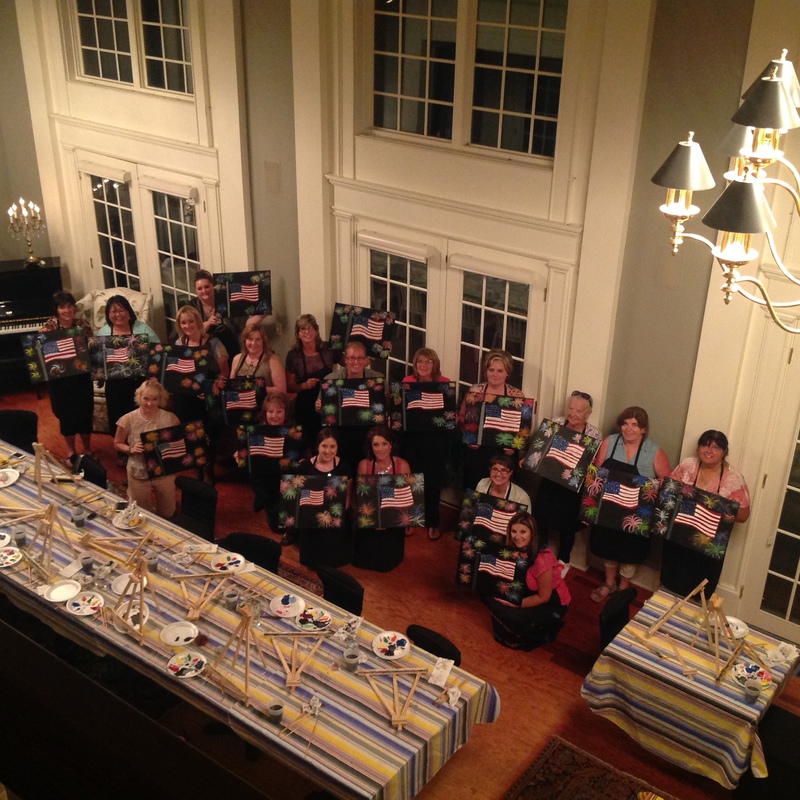 Paint & Taste Parties - Painting under the Influence! The Premiere instructor lead Painting Classes on the eastern plains of Colorado! Oh, did we mention there is wine also? People are always looking for fun, new ways to enjoy a night out with friends. Paint and Taste is the answer to that question, providing an interesting and affordable option to get out on the town! The concept of Paint and Taste is that each individual attending will take a pattern of a 16″ x 20″ painting and be able to complete their chosen piece within two to three hours including drying time all while enjoying wine tasting from the Claremont Inn & Winery’s fantastic wines made on site! The program contains many designs ranging from landscapes and florals to today’s trendiest icons--designs appropriate and fun for everyone. Paint & Taste Parties are held the 3rd thursday of each month. Can't make it to our regular party, schedule a private Paint & Taste Party! With 6 or more participants, you will be able to choose the day, the time and the canvas painting your group would like to paint. We have a Wine Coach available also to pick you up, bring you to the party and take you back home with your precious creations... and of course Claremont Wine! Call or email us today with your party plans! Find the Clues, solve the Puzzles get your game on! These events are action packed and fun for all. Here is what happens...You and upto 9 of your friends/family/co-workers enter a secret room here in the Claremont Inn & Winery. This room is filled with clues and a few red herrings too. You have 1 hour to find the clues, solve the puzzles and figure out who is the scoundrel at the Inn! Great team building event. This event is scheduled thoughout the year so watch for notices of these special events. If you would like to combine this with your stay at the inn, and you have a party of 4 or more we can do an escape room challenge for your group. Call or email us for details! See how our wines are made and learn the Chef's tips to creating these delicious dinners at these intimate dining experiences! 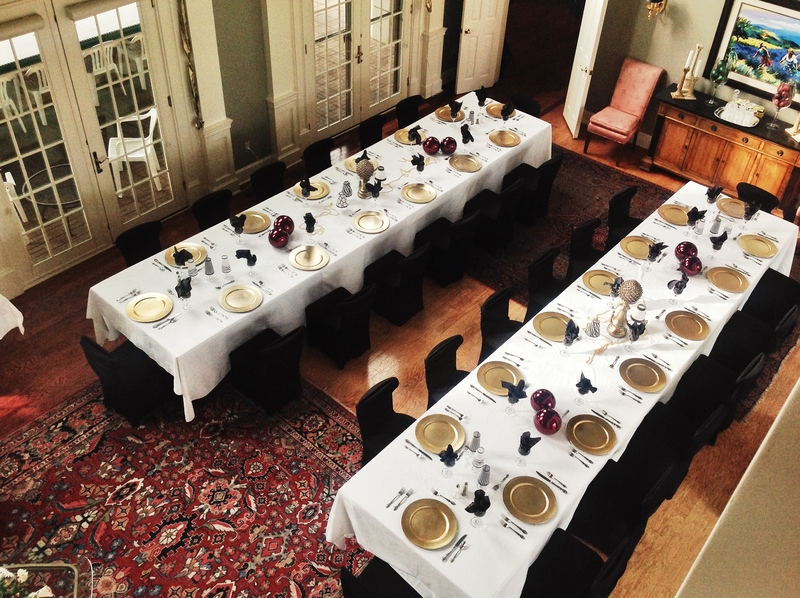 These Special Dinner Parties are scheduled each month on the 4th Saturday. Overnight accomodations are required for this truly unique experience you will have. These one-of-a-kind dining experiences are served up in the new Claremont Winery. Dave will guide you through the tasting menu introducing each course with tips and chef’s knowledge about the cuisine and preparations and Harry will pour the wine pairings and share his nuggets as only he can do! These are 9-course Tasting Menus complete with Wine Pairings – so far they have been a big hit… 3 hours of food, wine, fun & friends… truly an unforgettable experience. These unique dinners are limited to 12 guests making it an enchanting evening in a special setting. These are scheduled on the 4th Saturday of the month (usually) PLUS– if you have 3 or more rooms (6 guests minimum – 12 guests max) we can schedule you a dinner on the date of your choice! “It’s More Fun At The Winery” and “It’s Always More Fun with Friends and Family”! Whether you’re celebrating a special event like a family reunion, birthday or an anniversary - gather up the gang and plan a getaway to the Claremont Inn and Winery. You get to pick the rooms and plan the special events that fit your group. Maybe a Cooking Class, a Murder Mystery or a Food & Wine - Pairing & Tasting Class… It’s all up to you - just contact your Guest Experience Specialist and start making the plans today… You will be a hero for thinking it up and putting it all together. BOOK 2 OR MORE ROOMS ON THE SAME NIGHT AND SAVE 15%! The best part of our Friends & Family Plan is that for booking two or more rooms for “Taste, Dine & Stay” on the same night EVERYONE will enjoy a 15% discount! Click here to take advantage of this special offer! Want Something Over the Top - Rent A Country Mansion for a day! Treat your Friends, Family, Employees, Business Associates, Special People in Your life to the untimate expereince! 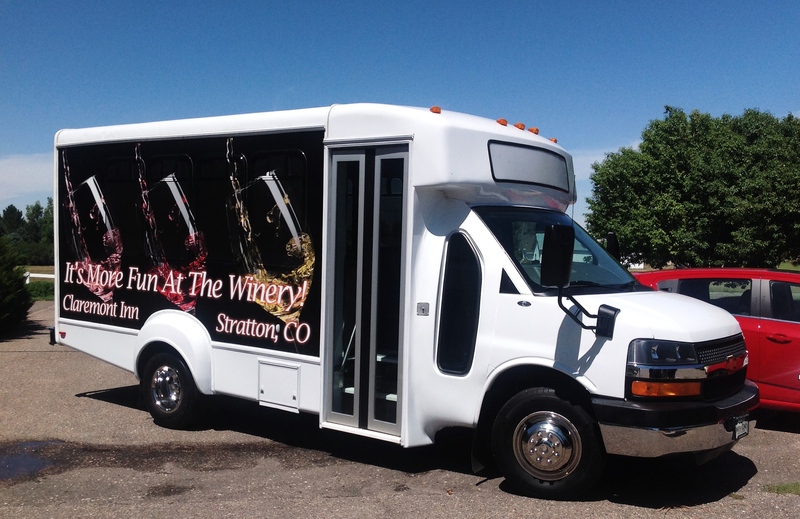 The Claremont Inn & Winery's Wine Coach is available for your party! Start the party before the party! Safe, secure and fun. That is what it is all about! 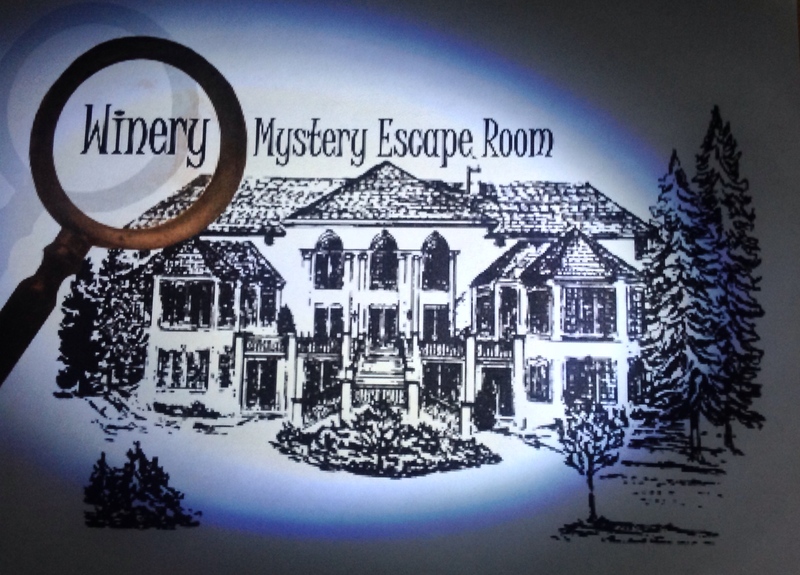 Whether you are painting, escape room challenging, murder mysterying or have a special activity palnned at the Claremont Inn & Winery, we can take some of the stress out of the party. We will pick you up and deliver you back home safe and sound. Start the Party on the Way! Whether you rent the whole facility or just need meeting space - we provide a turnkey experience. You and your coworkers, suppliers and customers will enjoy our fully catered business meetings and corporate retreats. Rent the Whole House for a very private setting. This is perfect for Executive Retreats, Annual Planning Meetings and Think Tank Sessions. We can help you plan the whole day – meetings, breakouts, social time and of course food – breakfast, lunch & dinner. Everything is freshly prepared and menus are designed to keep everyone comfortable and alert. Add a little fun with a Team Building Event. Picture your CEO trussing the bird at a Hands-on Cooking Class or that rigid accountant being revealed as the Murderer at a Murder Mystery Party. Up for a challenge? Try to beat the Escape Room game. Any one of these fun events will make your corporate event memorable and send everyone back to work with a refreshed outlook! Luncheons & Dinners – perfect for sales events, customer appreciation days and employee recognition. Add a Wine Tasting and make it a party! Every event is custom tailored to meet your needs and to help you accomplish your goals! Call today and let us take the work and worry out of your next business meeting!